As we approach Earth Day, many of you may be thinking about or getting involved in eco-friendly activities. Each year, Em is obsessed with cleaning junk off the street. The amount of trash and litter thrown on the sides of the streets is very disappointing to her, and I am happy to support that! 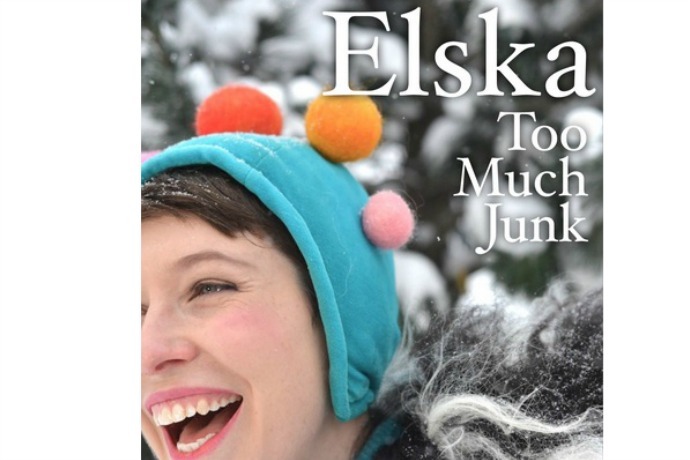 So it only seems appropriate to post this video for “Too Much Junk” by Elska. It was released a little bit ago, but I’ve been saving it for this week, in honor of Em’s feelings about cleaning up the streets, and because Earth Day tends to kick my spring fever up a few notches. I start to itch and get restless as I notice that my surroundings are growing bigger with clutter by the day. Or so it seems. For “Too Much Junk” Shelley Wollert (aka Elska) teamed up with Mikael Jorgensen, the lead keyboardist and pianist for the band Wilco. Together they have created a fresh new track that is filled with the same dreamy electro-pop signature to Elska’s sound. The song and corresponding video present a wonderfully minimalistic perspective in that Elska’s voice is prominent and the only thing surrounding her is the beautiful Icelandic landscape. It’s a perfect metaphor for the reduction of clutter. And as Elska sings “I don’t need a lot/ no not a lot” I feel moved to breathe in the openness of my own space by cleaning out all of my own (and my daughter’s) junk. Now, since this video was released during the wintry months, there is snow. I realize that many of you have your sights set on greener pastures (and flowery spring colors) so I offer you this: Watching Elska romp around in this wintry wonderland reminds me of how fresh the air feels when you give yourself the space to take it all in. Plus, I love how she dances at minute 1:13! Adorable. Seriously. You can purchase the track, and find more Elska at her official site.